I wanna start off by saying that I am no Greek geek, that is, i know very little about Greece and it’s viticulture and wines. In fact, I have never even been to Greece and the number of times I can remember tasting a Greek wine can be counted on less than the 10 fingers of my two hands, and maybe even on less than 5 fingers. This isn’t because I have chosen not to taste the wines of Greece, it is merely due to the fact that in Norway, fewer than 10 examples are available (that i am aware of). Now that i am in Krakow, it seems that Greece may get a little more attention from me, or at least the wines of Hatzidakis. Haridimos Hatzidakis founded the winery on the island of Santorini in 1996 and made his first wine in the following year. He has been organic right from the start, no doubt helped by the heat and the winds of the island. A unique bush training system (koulara) is used on Santorini to help protect the growing grapes from the fierce winds and heat that are native here. The vines are woven into “baskets” with the grapes facing towards the inside, thus providing shelter. Fortunately, Santorini is immune to phylloxera due to it’s volcanic soils which contain no clay, which is necessary for the parasite to survive. 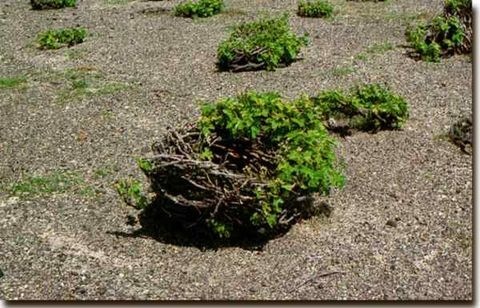 Therefore, many of the vine roots growing on Santorini are 100’s of years old, allowing them to grow deep into the soils where they can find nutrients and water. 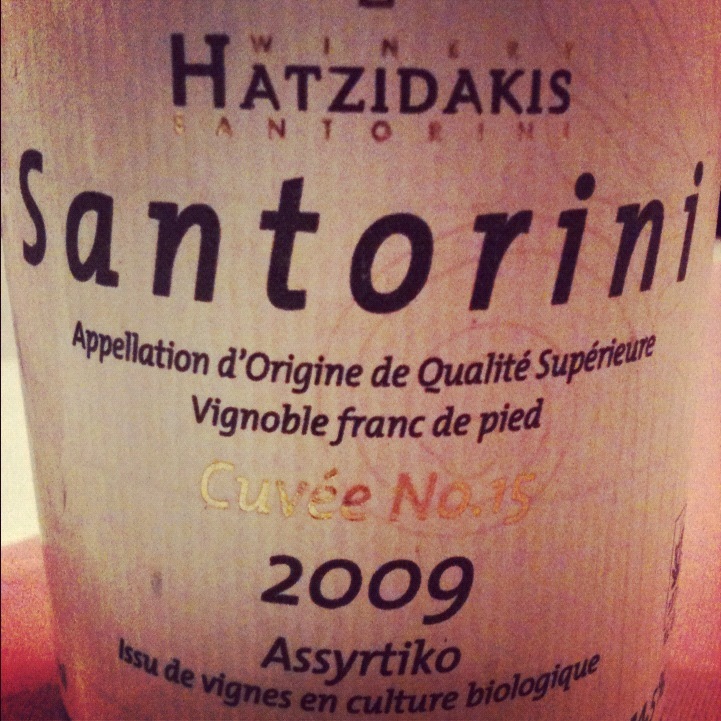 The Assyrtiko Cuvée no. 15 is 100% Assyrtiko, an indigenous grape of Greece, and is known for it’s minerality and acidity (even if the grape is very ripe). The wine is made from a mixture of (very) old and young vines, where the upper part of the vine is about 15 years old, but the underground root system can be anywhere between 100-400 years of age. The grape skins are quickly separated from the juice and the wine is allowed to ferment with its native yeasts. It’s then matured on the lees in tank for 4 months. Very little SO2 is added, with the total at bottling being between 12 & 20 mg/l. This wine is quite rare and is not made in every vintage. In 2009, about 200 cases were made. Appearance: Deep yellow hay-like color. Very vibrant and a bit turbid. Nose: like crushed vitamin c, or aspirin. Under ripe mango, but not green. 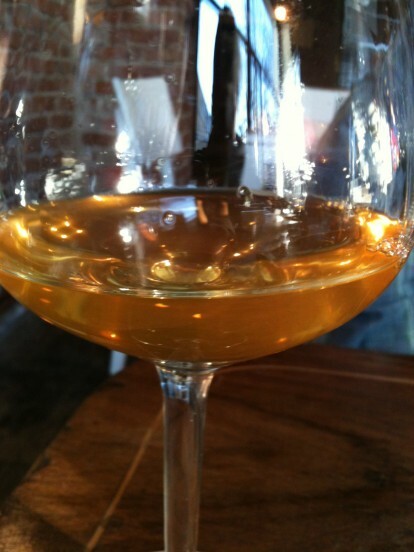 Honey and mineral notes lift the wine nicely. Palate: Mineral and very salty. Under ripe mango again on the palate with a slight bitter after-taste. An extremely long finish and very concentrated. Alcohol sticks a bit, but i credit this to the wine’s youth. * I would like to thank Tomasz Kurzeja and Konstantinos Lazarakis MW for their very helpful information.